Martha Berry thanks Miss Gray for the gift she sent to Berry which was greatly needed and appreciated. 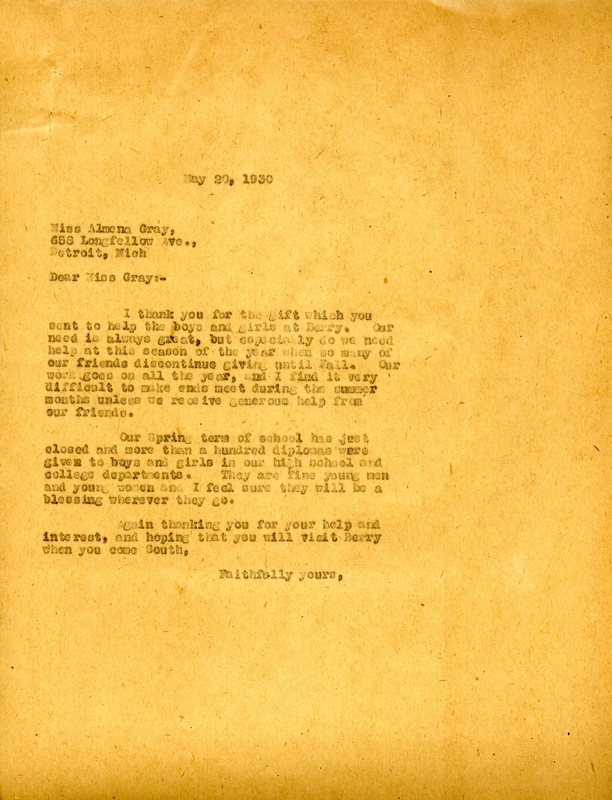 Miss Martha Berry, “Letter to Almena Gray from Martha Berry.” Martha Berry Digital Archive. Eds. Schlitz, Stephanie A., Rachel Renaud, Angela McCavera, et al. Mount Berry: Berry College, 2013. accessed April 22, 2019, https://mbda.berry.edu/items/show/12659.